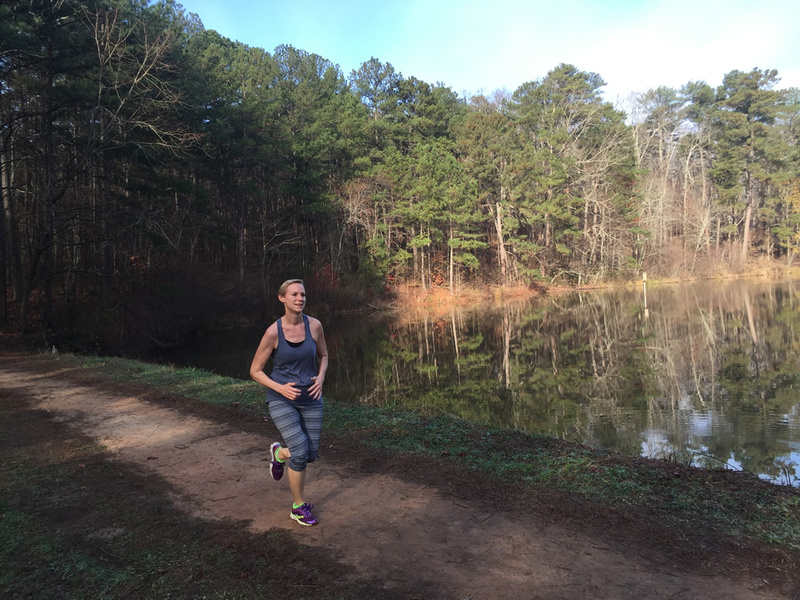 There’s no shortage of roads and paved paths for running in south Metro Atlanta, but unpaved trails can be hard to find. The W.H. 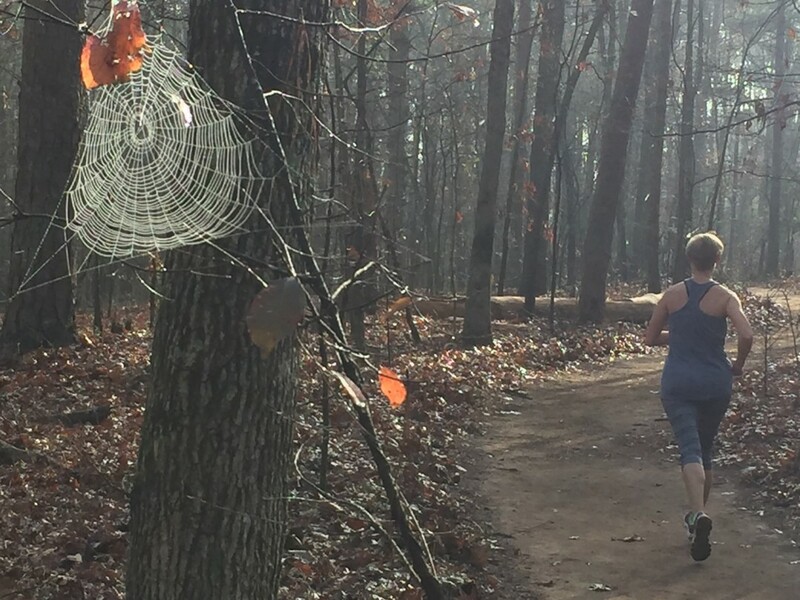 Reynolds Nature Preserve in Morrow, Georgia is a real treat for trail runners, walkers, and hikers offering a variety of trails, hills, and scenic areas. It also connects to the nearby City of Morrow Pathway so you can extend your journey to nearby areas. 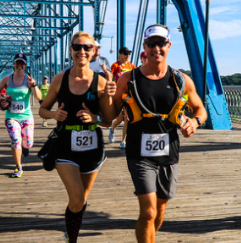 We’ll cover both trail systems in this blog post. 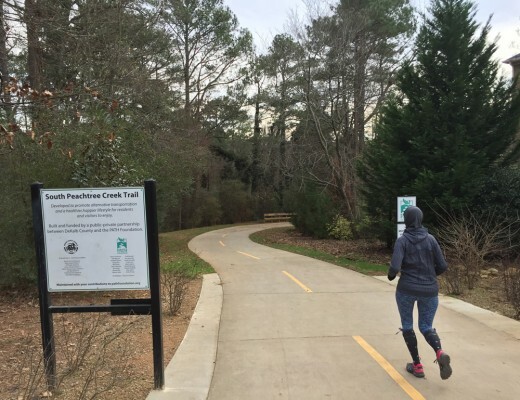 According to the official website, Reynolds Nature Preserve “…is a 146 acre nature preserve located in the heart of Clayton County in Morrow, GA. The land, preserved in its native state, is a perfect example of rolling hills in the Piedmont region of Georgia. 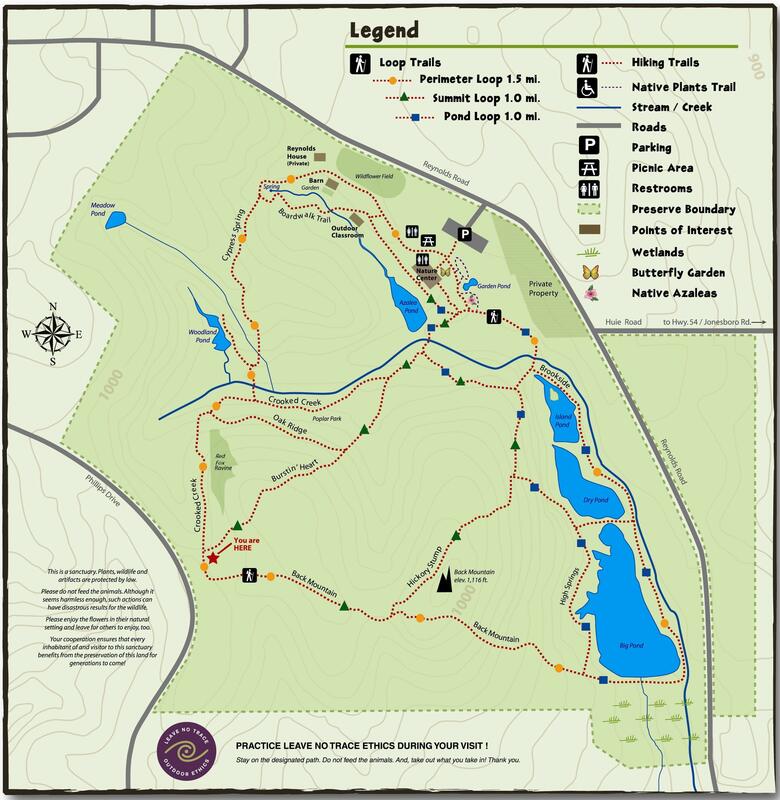 With over 3 miles of hiking trails a visitor can explore the highest ridges in the county in a mixed oak-hickory-pine forest down to the wetlands and ponds fed by natural springs.” The Preserve is easy-to-reach being situated between Morrow, Lake City, and Forest Park and less than a mile from nearby Clayton State University. Named after Judge William Huie Reynolds who donated the land in 1976, the area has a fascinating history. 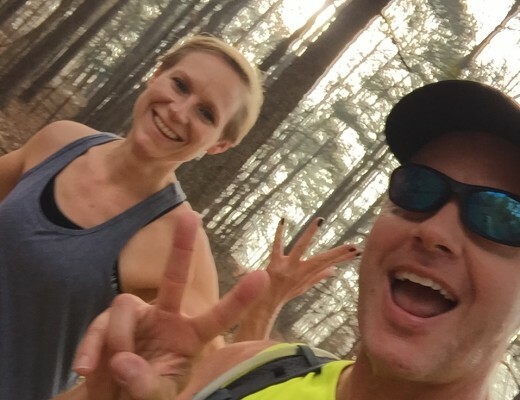 We recommend running the main perimeter loop (1.5 miles) to get oriented to the area, then you can explore some of the trails that bisect the middle of the forest. In general, the path on the eastern edge of the preserve is flat. The high ground is towards the northwest and west, so when you’re traveling that direction you’re going to be climbing. Just know that as you head back east you’ll be going down hill again. Back Mountain, in the south central part of the park, is one of the highest points in the area. The trails are extremely well maintained and not technical at all. In fact, when we ran the preserve in December 2015 we found the trail to be in excellent shape. There’s no rock scrambles and very few roots to trip over. We think someone recently groomed the trails because some sections even had wood chips, making for a nice “bouncy” ride up and down Back Mountain. 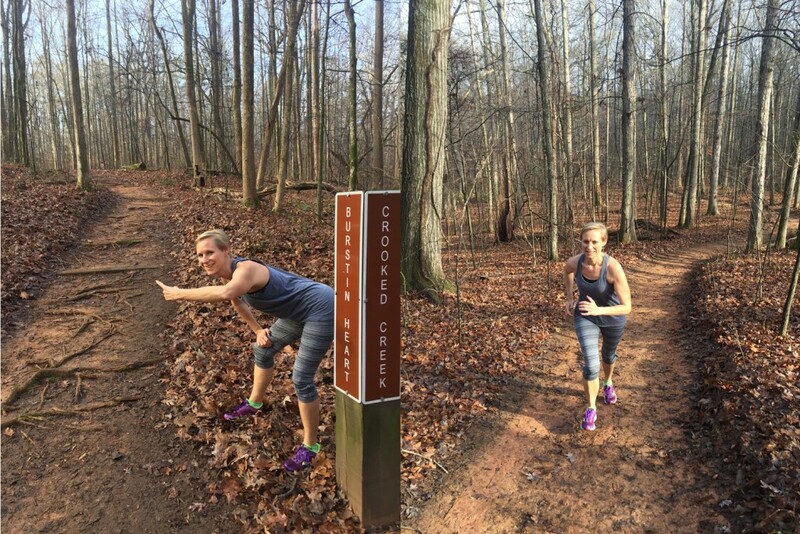 The trails are very appropriate for beginning trail runners. Don’t think it’s an easy trail, one of the trails is the appropriately named “Burstin’ Heart” trail – a climb that goes straight up. It’s not technical, but it’s steep. Combining trails and switching directions, you can cover lots of ground in the preserve. 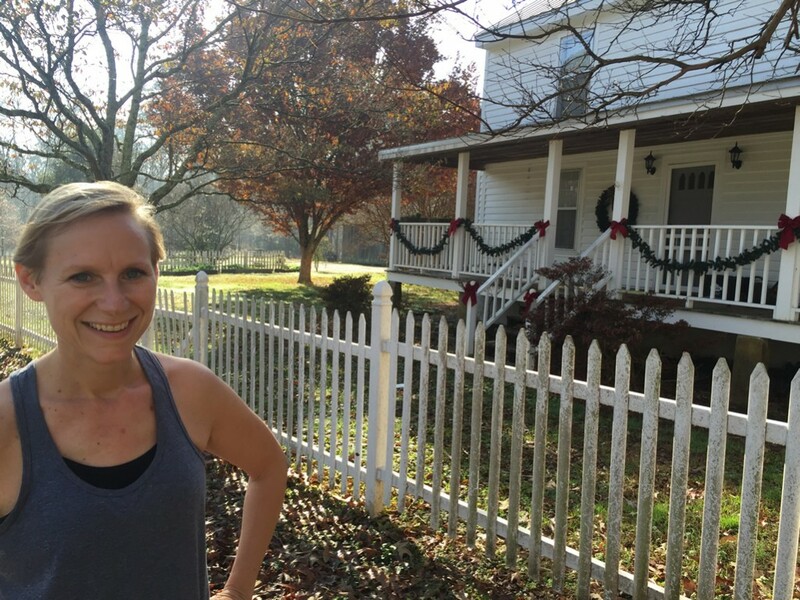 On the north end of the park, you’ll pass by the original Reynolds House and adjacent barn which provides some historical context for the area. On the southeastern section of the park (and not shown on the map) is a connector to the nearby City of Morrow Pathway, which we’ll cover in the next section. After passing Big Pond, cross a short bridge over Crooked Creek and the pathway starts adjacent to Reynolds Road. 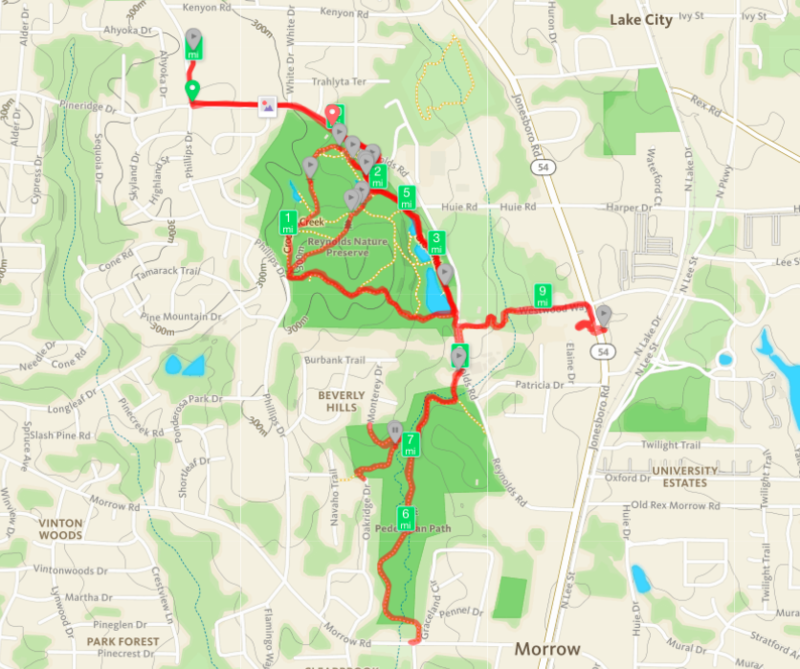 The map below shows the entire route we ran in both Reynolds Nature Preserve and on the City of Morrow Pathway. (Note: we tried to locate an official Morrow Pathway map to feature in this article, but were unable to find one online). Our run started and finished at Forest Park High School. The relatively new City of Morrow Pathway is part of a planned trail network to connect neighborhoods and parks along Jester’s Creek. It’ll eventually connect from Reynolds Nature Preserve south past Southlake Mall and down to another section of existing trail called the Jester’s Creek Trail near 844 Jester Lake Drive, Jonesboro, Georgia. We’ll cover the north end of the trail system in this blog post. The pathway is mostly flat as it follows Jester’s Creek to the south. You can see the elevation profile of our run above. Most of the hills were in Reynolds Nature Preserve. 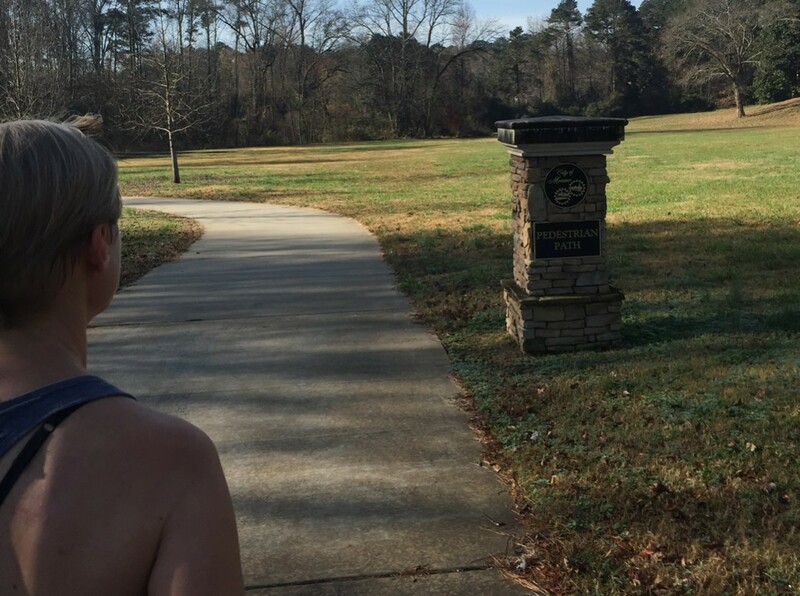 The final hill at the end of our run was simply the climb back to our starting point at Forest Park High School. 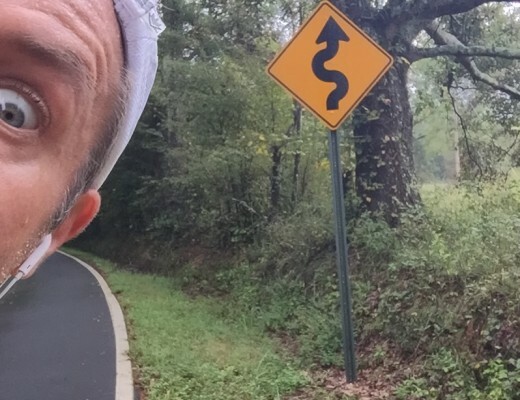 If you’re looking for a nice, flat and easy path to run – the City of Morrow Pathway is a nice one. There’s a mixture of concrete pathway and wooden boardwalk adjacent and across Jester’s Creek. The pathway is very well maintained and provides an easy surface for walking, running, and riding a bike. During the day we found the path was very lightly used and there were only a few people on it. 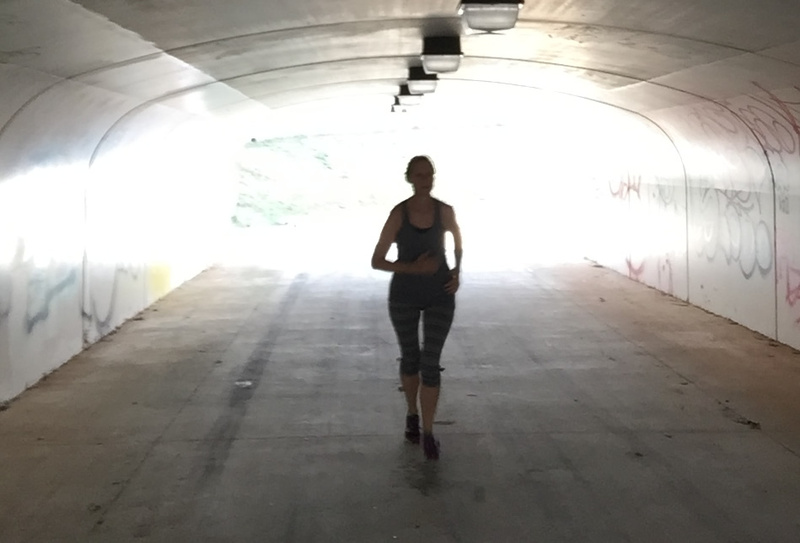 Although the pathway is located adjacent to many neighborhoods, we don’t recommend running it at night. The pathway project team were very thoughtful in laying out the pathway. There are many connectors to the neighborhoods in the area provided easy access to the pathway. Our journey took us due south to the Pathway terminus at Morrow Road and then we turned around and headed back north retracing our path – exploring some of the neighborhood connectors along the way. Because the pathway sits in a low lying area it’s flat, while most of those connectors are short uphill sections. Just after mile eight, we decided to explore the connector and tunnel over to Clayton State University (Mary Catherine’s alma mater). There’s a crosswalk near the connector (which is also near the northern terminus) that leads across Reynolds Road, behind a Church, and terminates on the dead-end of Westwood Way. 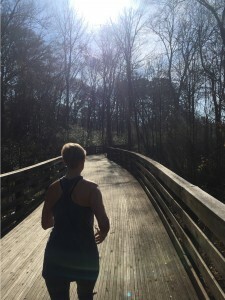 We ran along that quiet residential road on a short road section up to Jonesboro Road (Ga. Hwy 54) and then down to the tunnel underneath the road. The tunnel reminded me of the tunnel underneath Peachtree Parkway on the golf cart paths of Peachtree City. The path isn’t continuous to the tunnel, but it’s not hard to reach. You can see where they intend to clear out some brush to connect to the main pathway. Crossing the tunnel to the other side leads you to Clayton State University, which has it’s own set of trails. 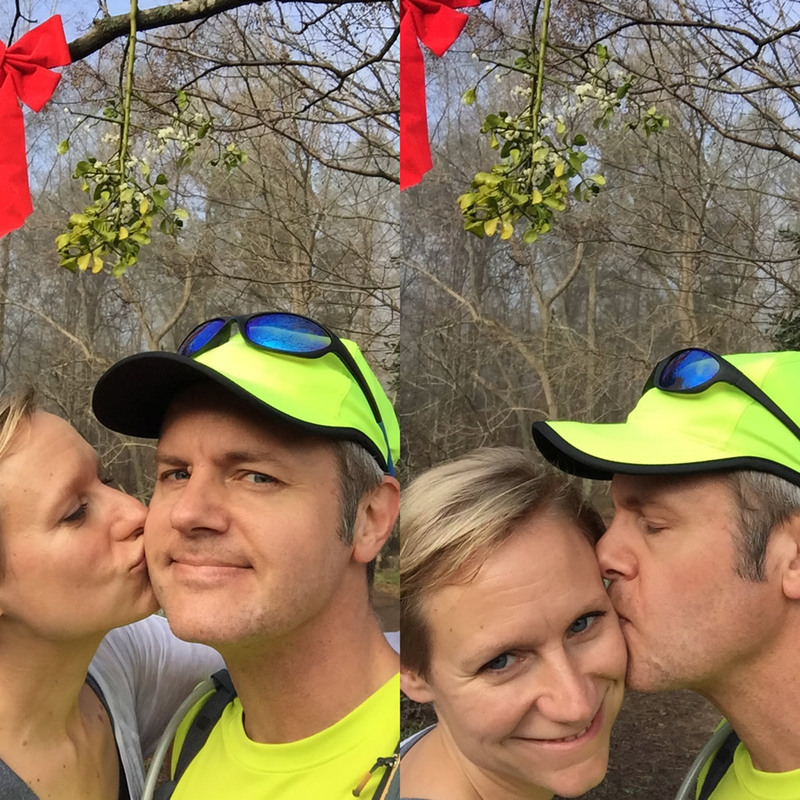 Because we were approaching nine miles of running, we opted to turn around and head back. Our journey back took along alongside Reynolds Road, past Reynolds Nature Preserve and back up the big hill to Forest Park High School, for just over 10 miles of running. Whether you decide to just run the Preserve, the Pathway, or both there’s lots of running adventures to be had in the area. Enjoy!